If you thought I was going to let National Hot Dog Month pass by and NOT post a fun hot dog recipe, you’re crazy. Some people say that apple pie is the most American food gets. I disagree. I think it’s gotta be hot dogs. Sure, they’re actually German. 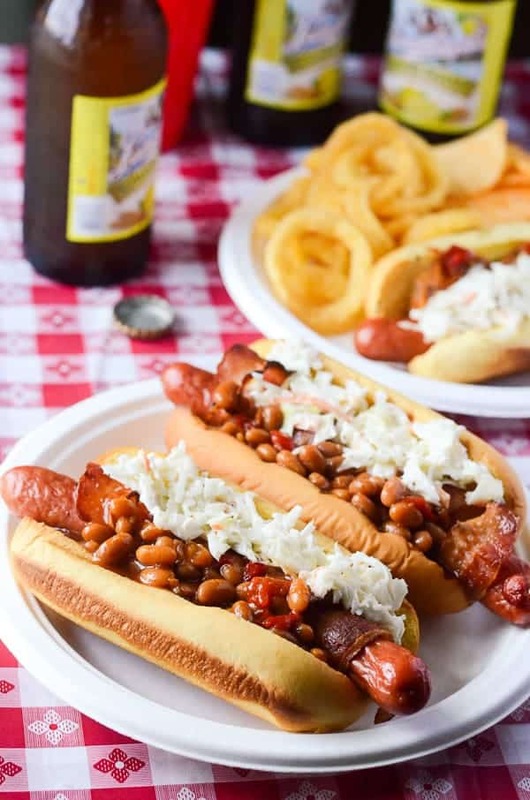 But when I think summer and BBQs and grilling, my mind immediately goes to the versatile franks that remind me of all things childhood and wonderful. You either love ’em or you hate ’em, but there’s no denying their integral part in our country’s summer cuisine. This week, I’m sharing my crazy, lazy indoor version of these babies at My Cooking Spot. These Bacon-Wrapped Summer BBQ Hot Dogs can be ready in about ten minutes, and there’s no grill needed – just pop them in the oven and throw everything together. It’s a quick meal that your family is sure to love, and you don’t even have to sweat over flames to get them on the table. Plus – no forks necessary! 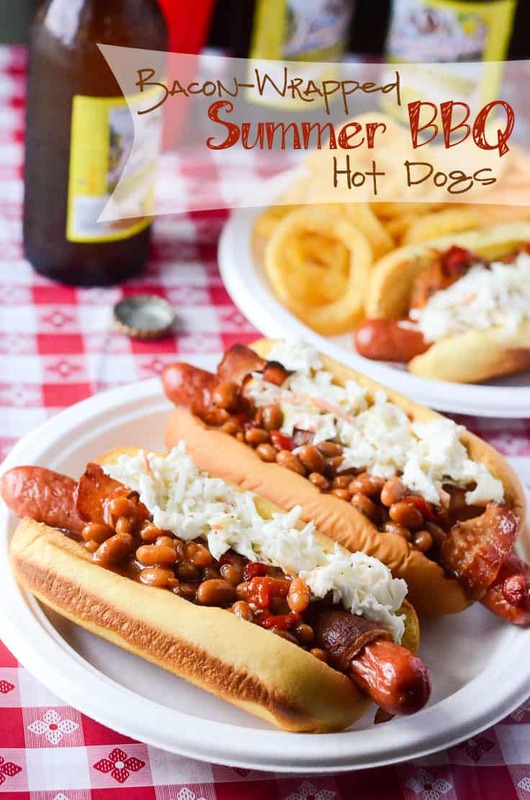 Everything BBQ is ON the hot dogs – including the sides! Plus bacon. Always bacon. Head on over and have a look at the recipe, and let me know what you think! Yeaaaaaaaah. You’re totally speaking my language here, and I basically need one of these hot dogs before the summer ends because, well, they sound perfect. Nice work!